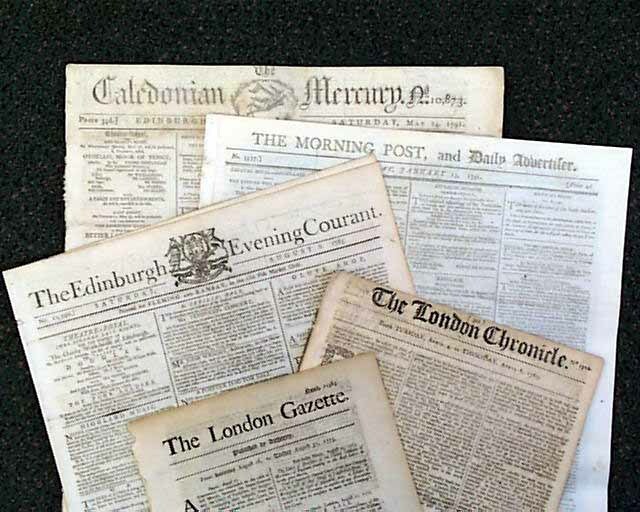 Item # 649294 An interesting lot of five newspapers, all different titles, from Great Britain. You receive at least one from each decade covering 1760's thru the 1790's, and all are in nice condition. Certainly a one-of-a-kind grouping. The photos are representative of the look and condition of what you will receive.